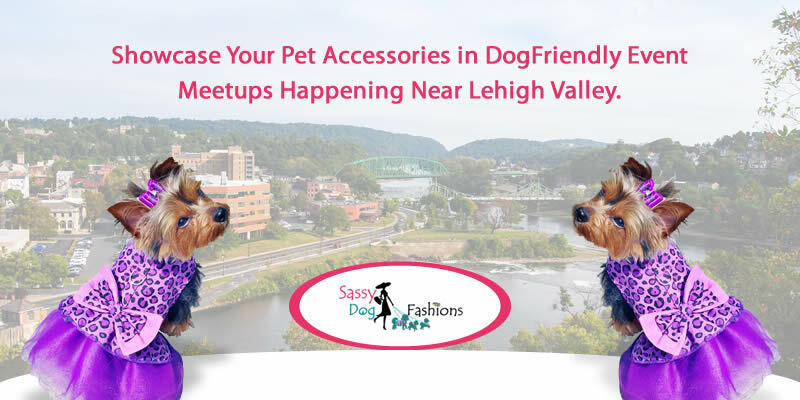 Showcase Your Pet Accessories in DogFriendly Event Meetups Happening Near Lehigh Valley. Available at Sassy Dog Fashions, you’ll never see this unique product in any other pet shop. It is a classic and distinguished set of Straight Point Black Collar, Tan Plaid Bow Tie and Black Cuffs with matching plaid designer plaid buttons for your dog or cat. They are sewn with skill, using crisp black cotton and cotton blend designer fabrics, the collar is fully lined for stiffness, and has a Velcro closures at the back of the neck. This is one of the best accessories to showcase at the events meet ups. This is one of the best accessories for the female pets if you are going to an event meet up. 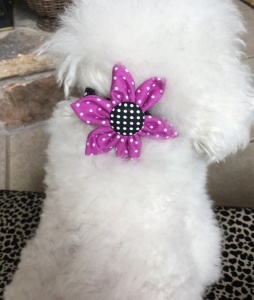 If you would like to order a collar and flower set, just visit the Sassy Dog Fashions site. Choose your collar then order a custom flower to coordinate. You’ll be pleased as we sell a lot of custom sets. This accessories is one of the best one to showcase at the event meet ups. What could be an amazing looking accessory than a classic bow-tie for pet on an event? Nothing, right? Getting your pet a cute and classy looking bow-tie can make it look adorable and classy at the same time. You can easily check out the bow-tie below from Sassy dog fashions. 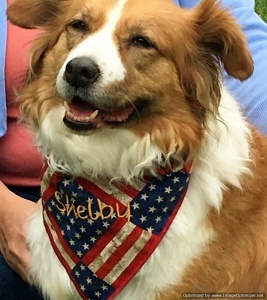 A Bandanna is a cool accessory to get for your dog or cat as it can change the whole look of your pet and can be best to showcase. The amazing looking bandanna can protect your pet from winter and at the same time it can make your pet look adorable. Check this cool bandanna easily available at the Sassy dog fashions.